The Suzuki Intruder name isn't new. In fact, the first Suzuki Intruder was launched more than three decades ago, in 1985. Over the years, the Suzuki Intruder has seen several revisions, and has made a mark as a beefy, new age, muscular cruiser motorcycle from the Japanese manufacturer's stable. Over the past few years, Suzuki has seen considerable sales growth in India, but largely relegated to the automatic scooters and the favourite 155 cc motorcycle the Suzuki Gixxer. 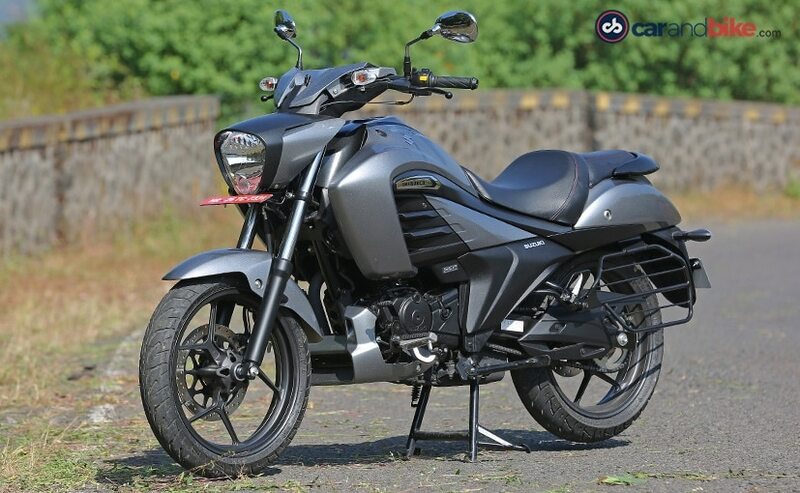 According to Suzuki India, market research indicates that there is a lot of demand for an affordable cruiser motorcycle, with premium styling, and big bike looks. 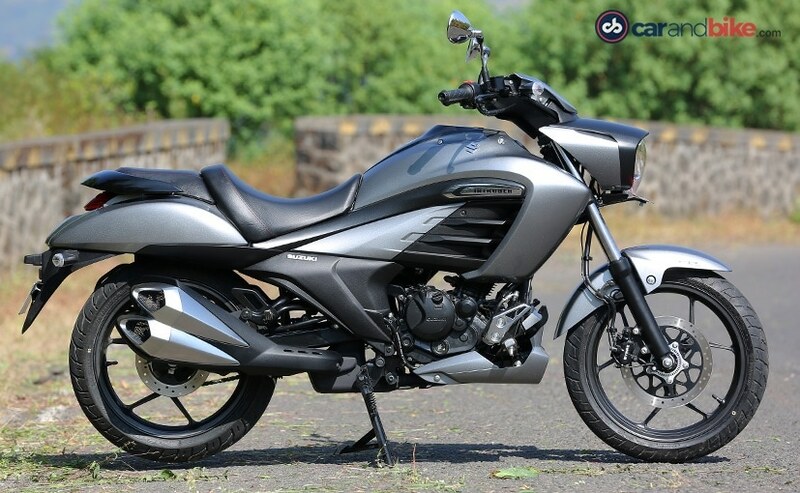 So, enter the new, 155 cc Suzuki Intruder. 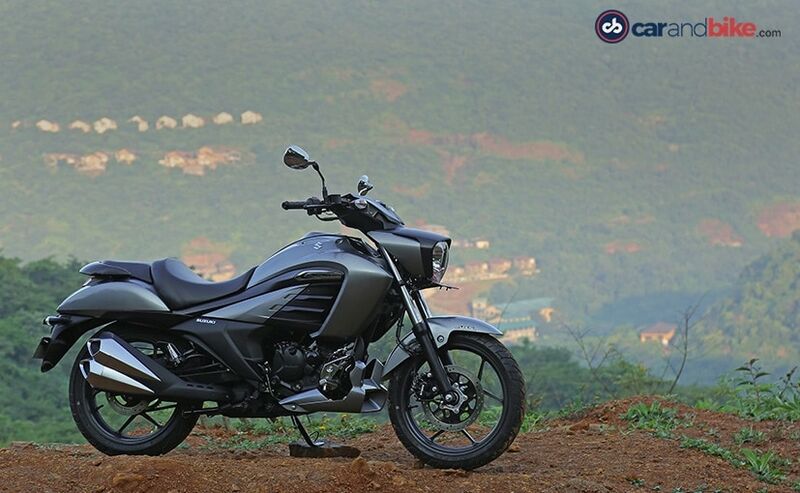 The new Suzuki Intruder is a 155 cc cruiser motorcycle, with a very distinctive design. Going with the cruiser credentials, the riding position is relaxed and stretched out with forward-set foot pegs for a feet-forward riding position. The handlebar isn't very wide and feels quite compact once you swing a leg over the bike. It may be styled with cruiser elements, but the bike's ergonomics are designed keeping in mind the daily commute and easy riding in and around the city. Friendly ergonomics, compact handlebar, and a wide and easily accessible 740 mm seat height make the new Suzuki Intruder a friendly and comfortable riding position. It's an all-new motorcycle, yes, but its underpinnings are borrowed from the hugely successful 155 cc Suzuki Gixxer. 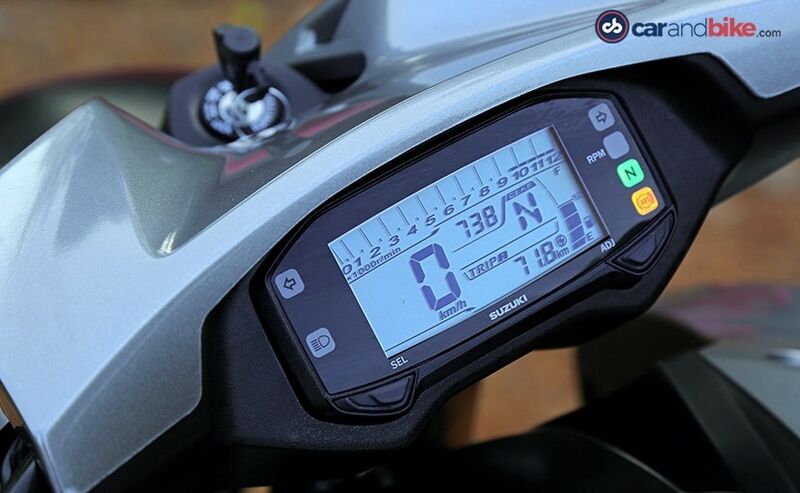 It gets the same four-stroke, single cylinder, air-cooled 155 cc engine which makes 14 bhp of maximum power at 8,000 rpm and 14 Nm of peak torque at 6,000 rpm. The carburetted engine is exactly the same as the Suzuki Gixxer, but there are other changes - the gear ratios are different, the intake and air box are bigger and even the exhaust is different. So, it does sound slightly different than the Suzuki Gixxer and also feels ever so slightly different. 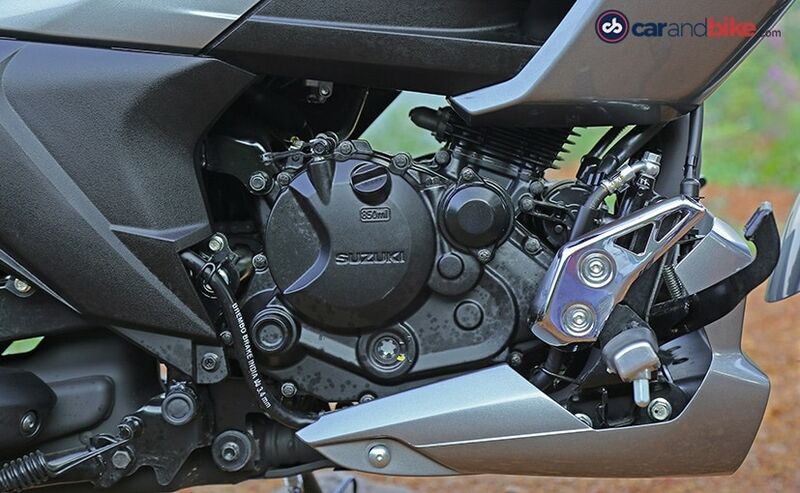 The Gixxer's 155 cc engine is a smooth engine with a nice torque band with impressive pull and refined performance. And the best part about this engine is that it doesn't feel stressed out or vibey even with the revs rising, and the throttle pinned open. And that is carried over to the new Suzuki Intruder's personality as well. So, full marks there! Ride it spiritedly and the Suzuki Intruder makes for an entertaining performer. At 148 kg kerb weight, it gains 8 kg over the Suzuki Gixxer, but it still feels light and nimble on the move. And as long as you keep the engine spinning above 4,000 rpm, the Suzuki Intruder's engine responds with entertaining refinement. The engine still makes less than 15 bhp and 15 Nm of torque, but it's adequate really, for the average rider on the daily commute. The best part about the new Suzuki Intruder is the engine, for sure, never for once letting feeling like it's running out of breath, or protesting with vibrations and strained performance. If 100 kmph is fast enough for you, the new Suzuki Intruder will bring a smile to your face, every time you work the slick five-speed gear box through its paces. The Intruder may share many components with the Suzuki Gixxer, but it has a longer wheelbase, and a slightly raked out front end although the chassis and suspension are the same as the Gixxer's. 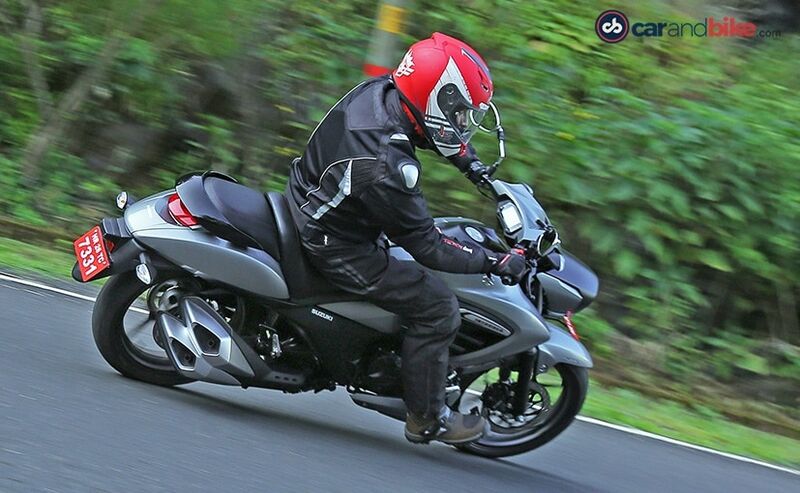 What's also new is the slightly longer swingarm which gives the bike a long, low-slung look. The steering geometry is slightly different and the long wheelbase does make you feel that the Intruder may not have the Gixxer's road manners. But show it a set of corners and the Suzuki Intruder's handling is pleasantly surprising. 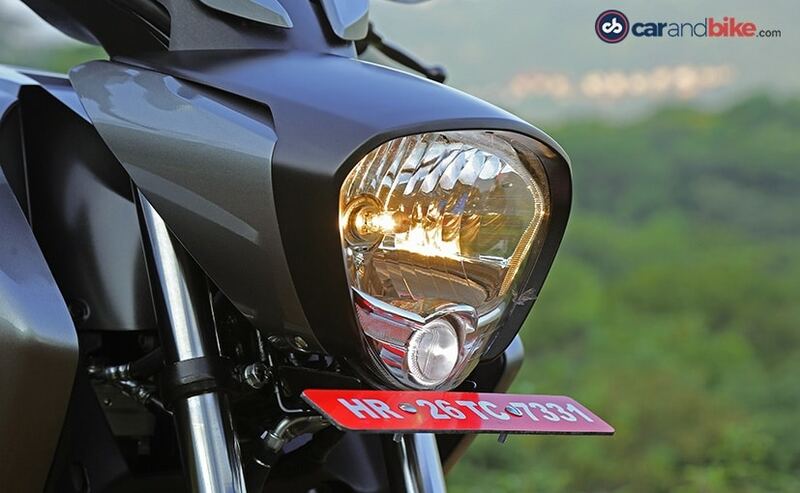 And true to the Gixxer it's based on, the new Intruder doesn't sacrifice road manners over cruiser styling. With a ground clearance of 170 mm, the Suzuki Intruder is also designed to take on the rough, sailing easily over broken patches and road undulations, never for once losing its composure. Corners are despatched with taut and confident road manners; never for once making the rider feel that the bike is unsettled or nervous, even when leaned over across a series of switchbacks. 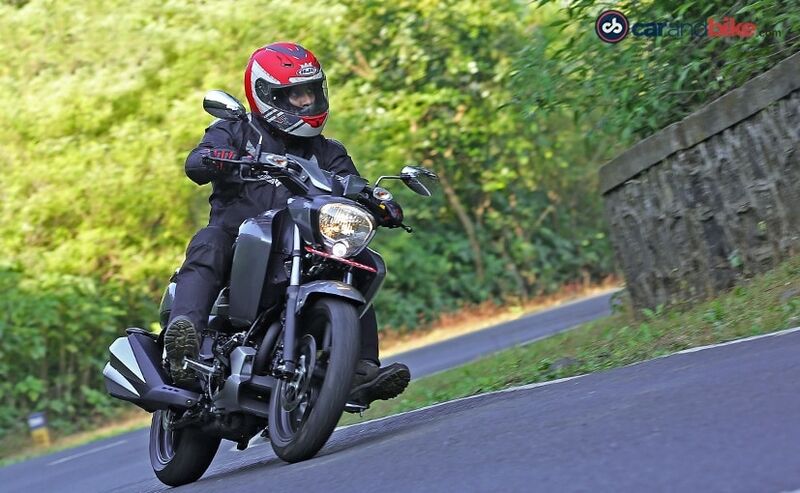 It may not have a lot of power in that 155 cc engine, but the way the Intruder performs on the road, with its silky smooth refinement and throaty intake roar, there's nothing to complain about the bike's engineering and finesse. Clearly, high quality is what this motorcycle speaks volumes about and Suzuki has certainly ticked all the right boxes making the Intruder a truly impressive performer on the road. Looks are subjective, and nothing is further from the truth than the Suzuki Intruder's design. Look at it from one angle, and it certainly looks desirable, even attractive. But look at it from another angle, and the Intruder looks out of proportion, and the design looks overdone. In fact, to us, the front end certainly looks the part of a premium cruiser, with those big bike looks. 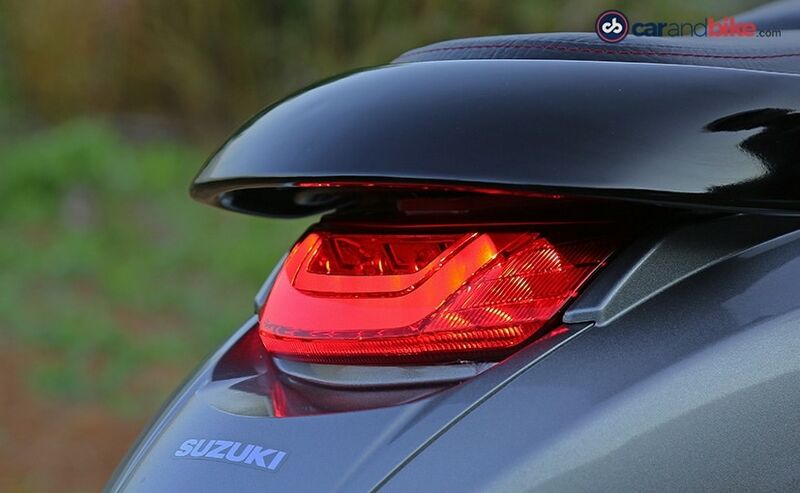 But it's the rear end which looks garish and overdone, be it the fat tail section or the massive one-into-two upswept exhaust. Talking of which, if you're inclined to take the occasional long distance ride on this cruiser, that upswept exhaust also doesn't leave any room to mount a pair of saddlebags. 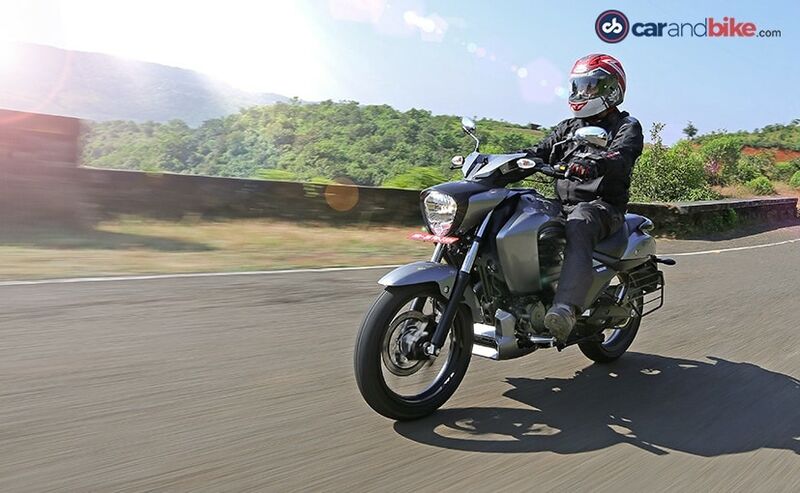 A tail bag is your best bet, and that means no room for a pillion on a long ride. Despite the critique, the new Intruder certainly attracts a lot of attention on the street though, and love it or hate it, you certainly can't ignore the bike's presence. In fact, at first glance it looks like a bigger and heavier bike than it actually is, and that is definitely a big plus point for the image conscious buyer, who will be looking for an affordable, yet premium looking cruiser motorcycle. Suzuki has certainly gone through a great deal of design and engineering effort to make sure the new Intruder lives up to Suzuki Motorcycle India's hopes of crossing the one million unit sales mark by 2020. With the Gixxer's runaway success, the Suzuki Intruder could very well open up many avenues to increase Suzuki's market share in the motorcycle segment. India is now Suzuki's largest market across the world, and Suzuki says the Intruder will be made in India to be exported to many different markets across the world. Priced at ₹ 98,340 (ex-showroom Delhi), the new Suzuki Intruder certainly offers a very good proposition for the average motorcycle commuter, with the option of a modern cruiser with big bike looks. Suzuki claims an actual fuel consumption figure of 44 kmpl, and with sound engineering, and good build quality, the new Intruder offers a lot and more, for the aspiring cruiser motorcycle buyer on a budget. Yes, it's priced right, built well, and offers good fuel economy. So, we won't be surprised at all if the Intruder manages to attract a whole new breed of buyers. Ultimately though, it's the design which works both for and against the Intruder. Some may find it very attractive, and others may find it a little too overdone. But if you like the design and feel this is what a small displacement modern cruiser should look like, by all means, go ahead, take a test ride. We can say with certainty, you won't be disappointed; it's that good a bike!